ROWLEY, Massachusetts – September 21, 2018 – Briar Barn Inn and Annmarie Swift Photography have announced The Day Giveaway, a contest that will award a one-of-a-kind wedding day to one lucky engaged couple. 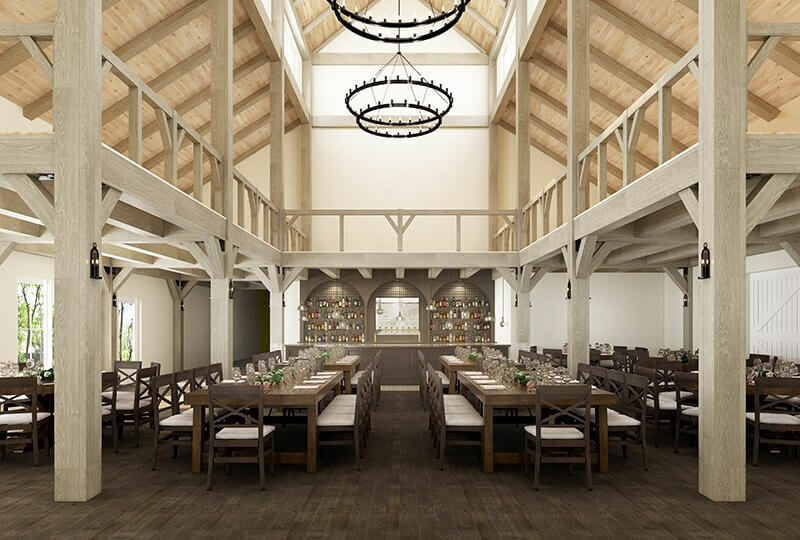 The Day Giveaway wedding will take place at the highly-anticipated Briar Barn Inn, slated to open later this year from the team behind the award-winning Willowdale Estate. Briar Barn Inn is home to a 30-room boutique inn and spa, 100-seat restaurant, and picturesque barn and private event venue. Known for exquisite celebrations and established traditions at Willowdale Estate, the Briar Bar Inn team is ushering in the first season of weddings at the new property with proper fanfare. For The Day Giveaway, Briar Bar Inn has partnered with over a dozen wedding professionals to dream up a day filled with the details that every wedding day needs – a great location, photography, planning services, floral design, music and so much more! One lucky couple and up to 100 of their closest friends and family will enjoy a wedding celebration valued at $30,000 in products and services from the North Shore’s most celebrated wedding professionals. To enter, each couple must submit a video, short essay, and wedding inspiration photos. After the sponsors complete the judging process, they will “propose” to the winning couple on Monday, October 1, 2018. The winning couple’s wedding will take place at Briar Barn Inn (located at 101 Main Street in Rowley, Massachusetts) on Friday, September 20, 2019. Engaged Couples from Massachusetts, New Hampshire, and Maine are eligible. To read more about The Day Giveaway terms, conditions, and details please visit: http://annmarieswift.com/the-day-giveaway. Briar Barn Inn is a distinctive farmhouse experience, where the pastoral beauty and serenity of old New England lives in harmony with the best the modern world has to offer. Created by the seasoned team behind Willowdale Estate, Briar Barn Inn extends our renowned hospitality and exceptional service to a relaxed country setting in historic Rowley, Massachusetts. Briar Barn Inn is home to a 30-room boutique inn, spa, restaurant, and barn for picturesque weddings and private events. Briar Barn Inn is located at 101 Main Street in Rowley, Massachusetts. For more information please visit www.briarbarninn.com or follow along @BriarBarnInn on social media!